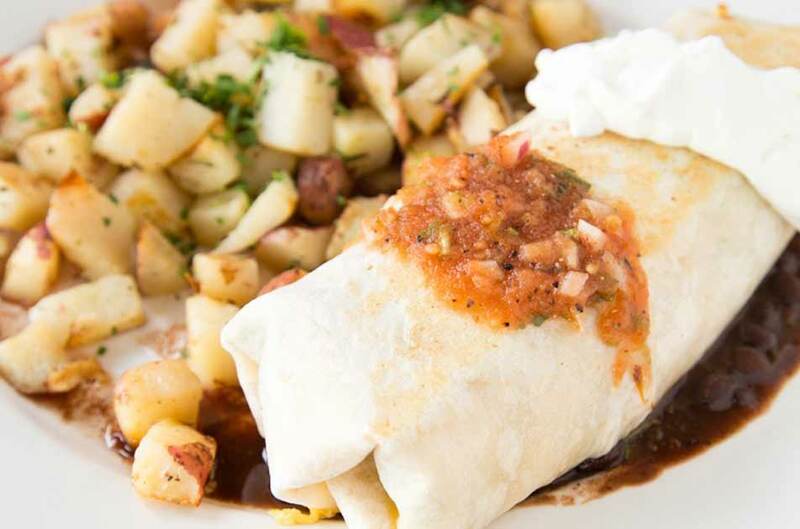 The crepevine Restaurant in Palo Alto on university ave. Is an active part of silicone valley. Where Stanford students, professors and business entrepreneurs meet for coffee or a healthy meal. 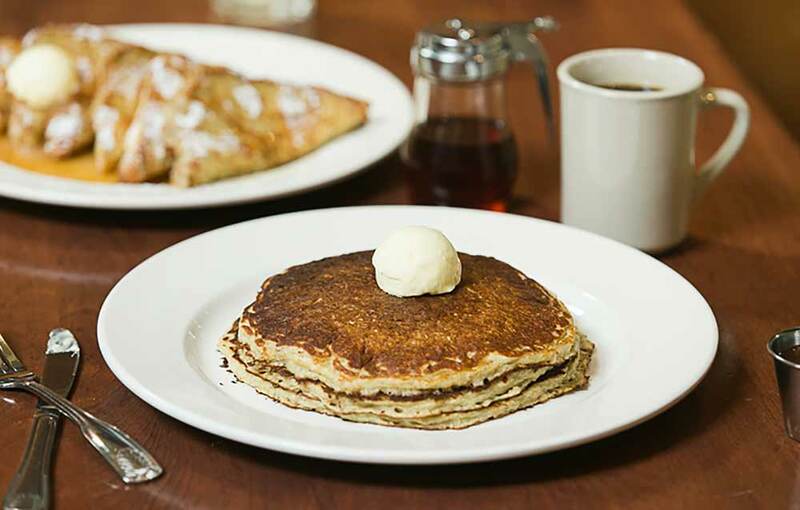 Crepevine Palo Alto is a favorite destination for a Saturday and Sunday brunch. Address :367 University Ave, Palo Alto, CA. 94301. Opening hours: Sun - Thu: 7:30 AM To 10:00 PM. Fri - Sat:7:30 Am to 11:00 PM. During winter Time, we close Sunday at 9:00 PM. Note: Menu items & Prices may vary by location. Prices subject to change without notice. 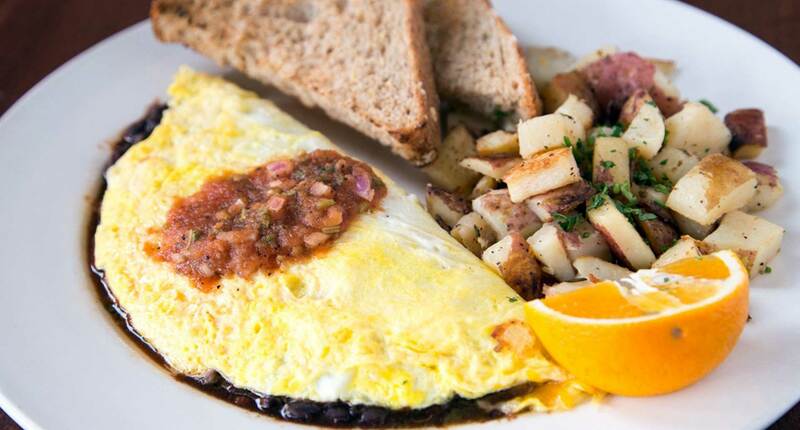 "Breakfast Palo Alto | HUGE portion size for an affordable price. I got the tofu scrambled eggs with egg whites (first place I've seen with no extra charge for egg whites) and my friend got the san francisco crepe (smoked salmon). Both were very solid, hearty breakfast platters that came with potatoes/fries and salad/toast. Would love to come again. The cafe was spacious, well-decorated, and open, and overall a lovely dining experience. 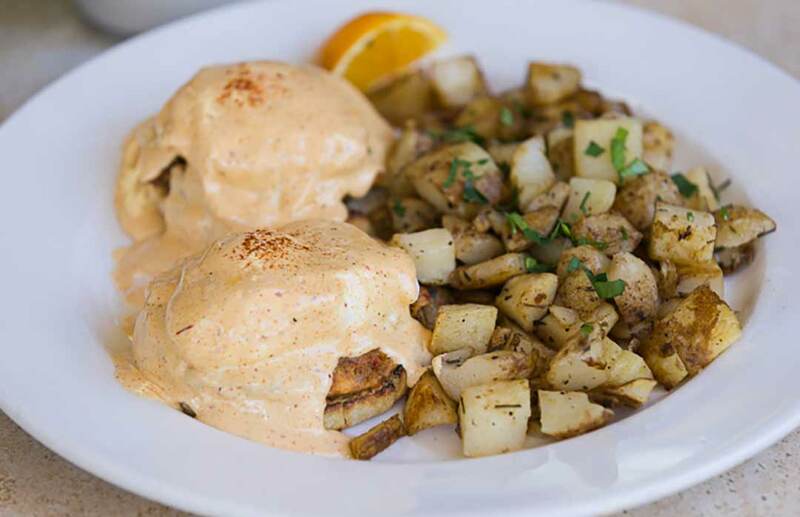 Breakfast Restaurant Near You"
"Best Restaurant in Palo Alto | I stumbled by this restaurant because my sister navigated us to the wrong restaurant, but I'm glad I tried this place.This place is feels very cozy and the service was great, quick, and efficient. Upon entering, the host would hand you a menu so you can decide. After making the decision, you would order, pay, and get seated. There was a line, but everyone was seateI tried the San Francisco crepe and my sister tried the California Crepe and we both were very satisfied with our food choice. You can still taste the salmon regardless of how many ingredients are in the crepe. It's really delicious! 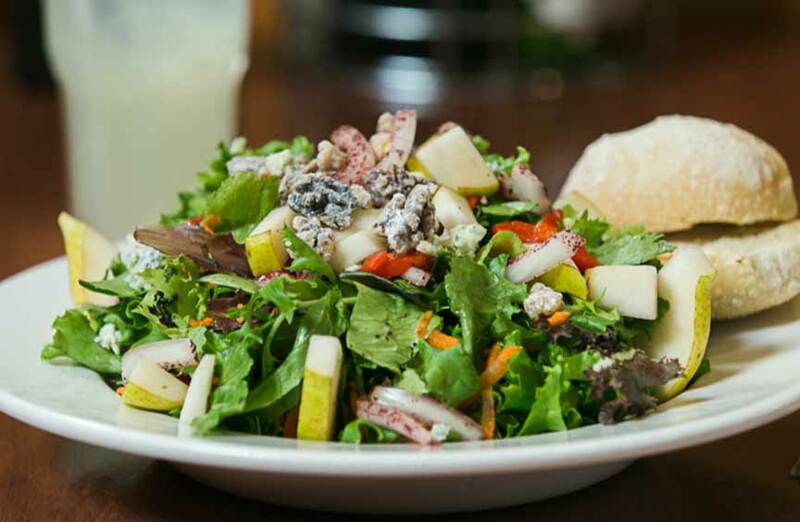 The food portion was generous and was very affordable." 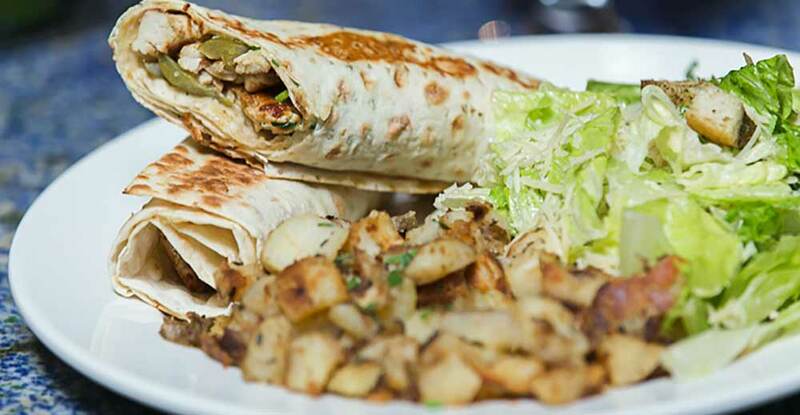 "Best lunch, Breakfast & Brunch in University Ave, Palo Alto | I love crepe and this place is crepe heaven!! 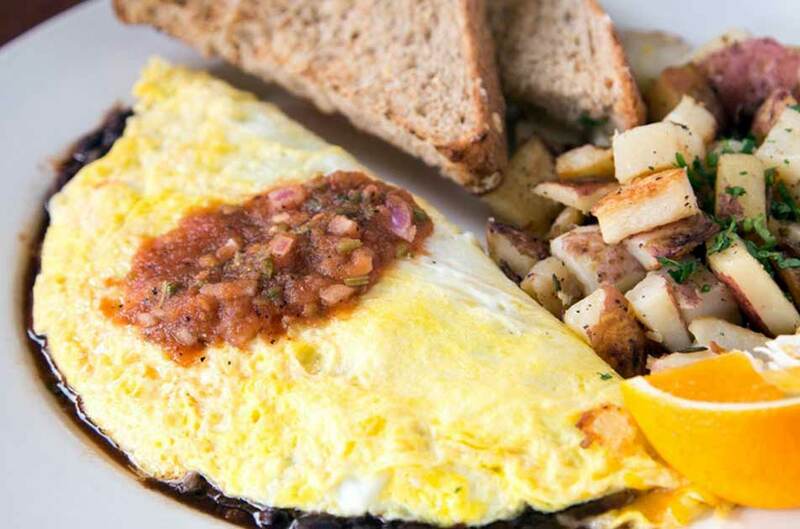 This place offers brunch all day with amazing prices. I love the decor and the vast menu selection. I got the chicken mushroom pesto crepe with salad - this had a bit too much pesto for my preference, but it was still really bomb. My boyfriend got the shrimp pasta and the portion was heafy! I would love to come back here for brunch, and I would expect there would be a wait. Highly recommend this place!" 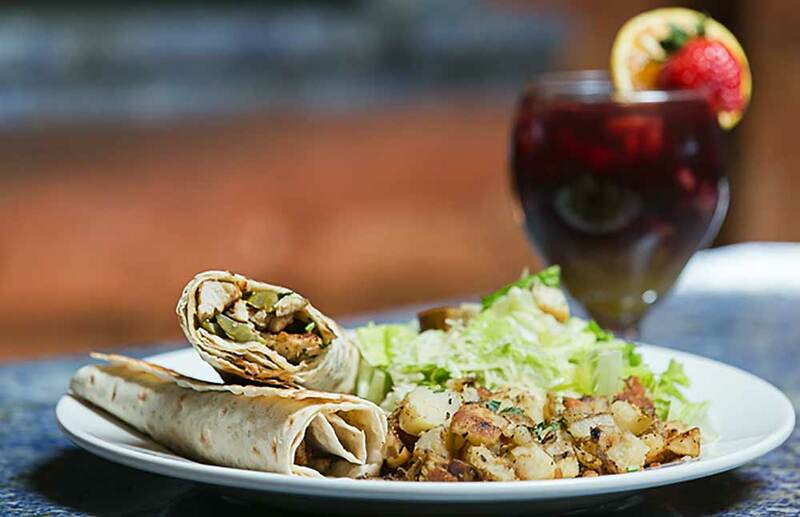 " Comfort Food , best lunch near you | This is by far one of my favorite spots for a quick meal and my favorite MIMOSA!. 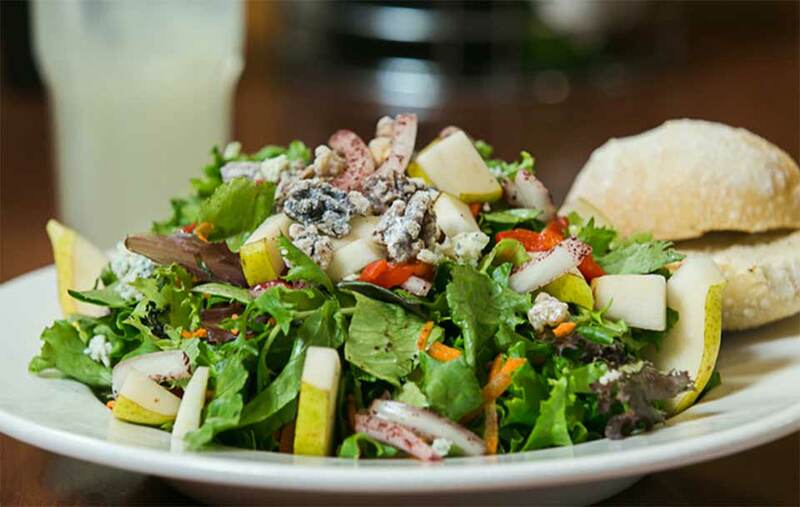 The food is very good, the employees are friendly and service is pretty quick. I've been coming to this place for a long time without incidents. However, this morning I was extremely dissatisfied with my mimosa and I asked for a new one. I was not pleased with the lady's attitude and her "reasoning" but thankfully JOSUE is always there to save the day! He makes the best mimosas ever! When the manager Rene arrived, him as well took excellent care of us and made sure we were completely satisfied before we left." Homemade french white bread dipped in a yogurt-vanilla egg batter with cinnamon and powdered sugar. Fettuccine with fresh salmon, spinach, garlic and Parmesan cream sauce. 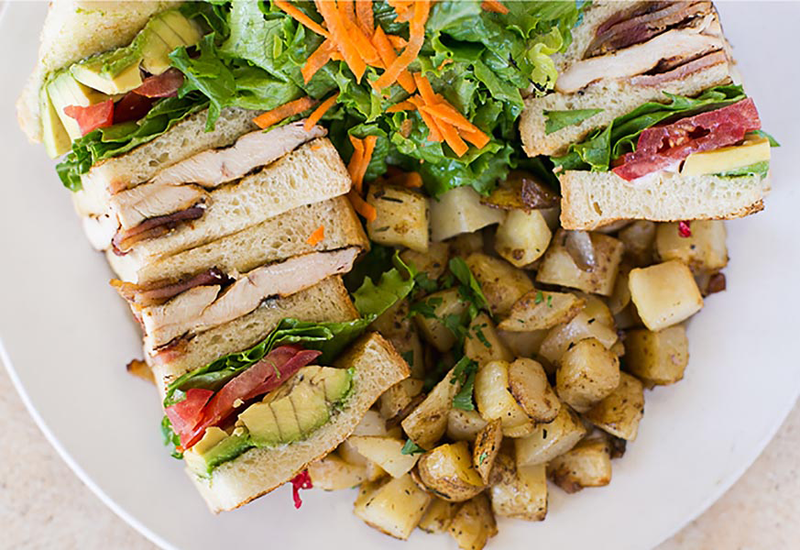 Freshly grilled chicken breast* on sourdough with crispy bacon, avocado, lettuce, tomatoes & mayo. 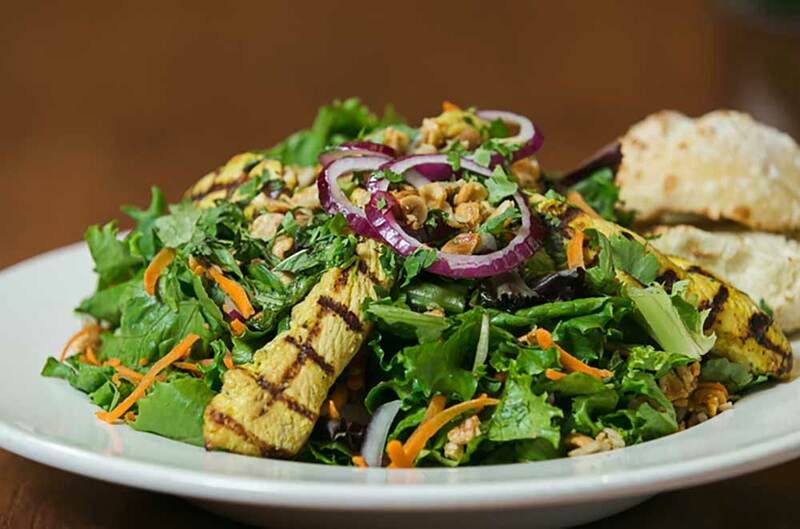 Organic mixed greens served with ginger curry marinated grilled chicken*, red onions, mint, shredded carrots, cilantro, roasted peanuts and spicy lemongrass vinaigrette. 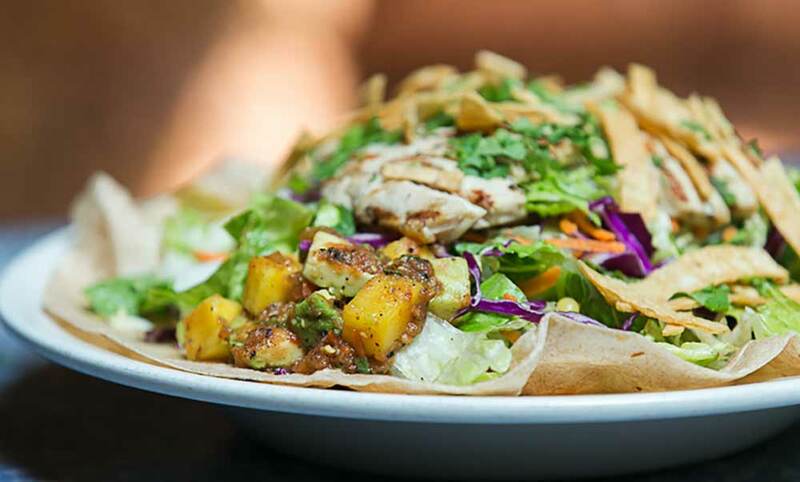 Romaine lettuce with corn, black beans, red onions and bell peppers tossed with balsamic vinaigrette, served over a tortilla and topped with freshly grilled chicken breast*, mango salsa, chipotle aioli and corn tortilla chips. 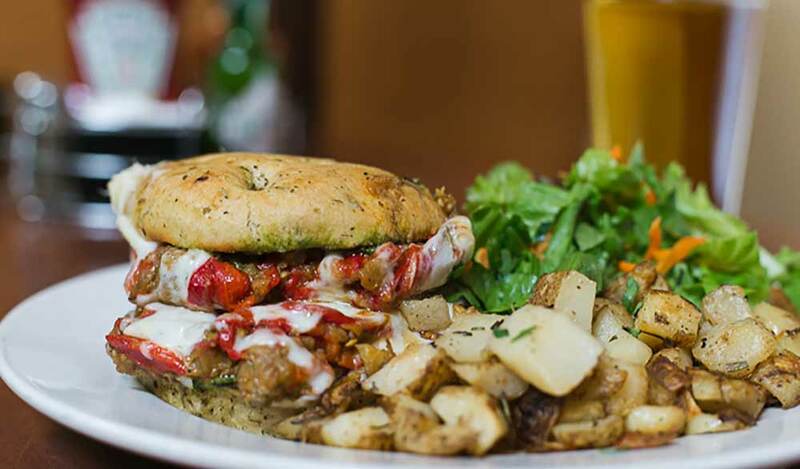 Grilled eggplant, roasted peppers, tomatoes, pesto and provolone on focaccia. 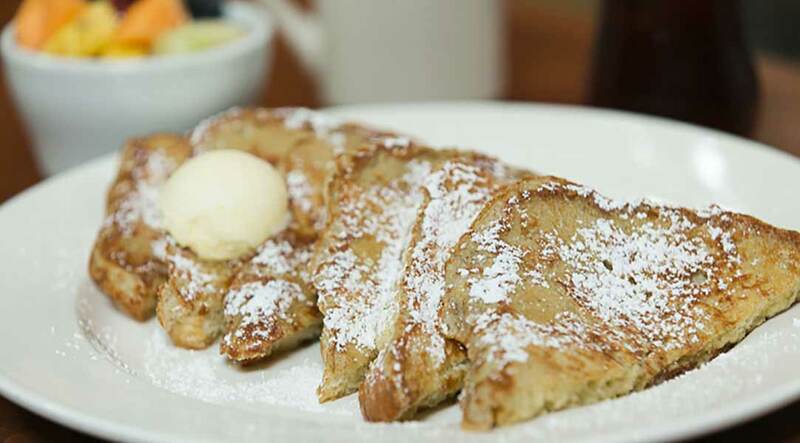 Homemade & served with 100% pure organic maple syrup. 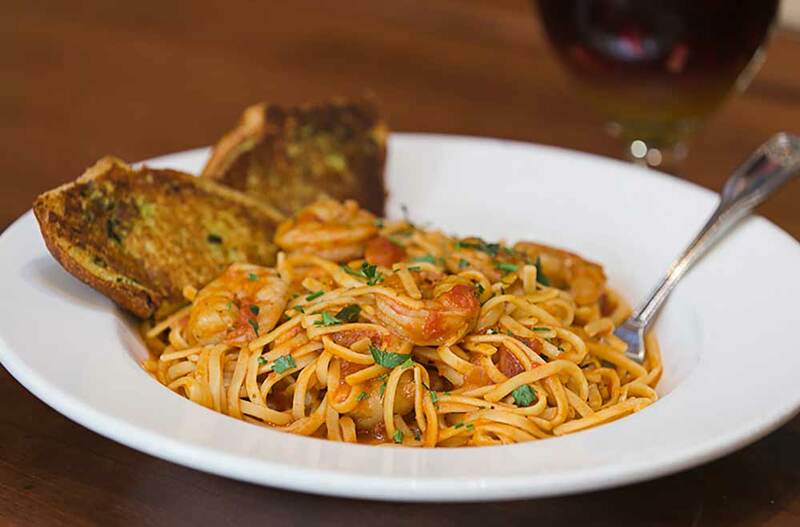 Linguini with shrimp and marinara. Sliced chicken breast* marinated and grilled, wrapped in lavash with creamy garlic and pickles, served with caesar salad. 1/2 lb. 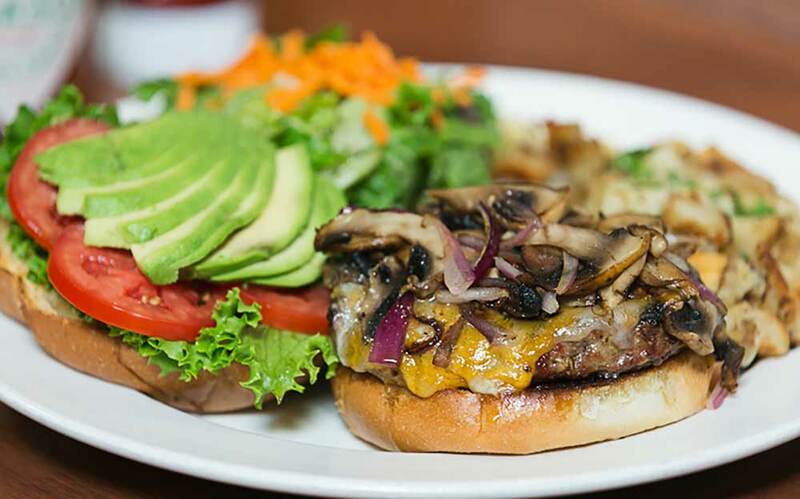 natural ground beef free of antibiotics and hormones served with lettuce, tomatoes, red onions and mayo on a bun. 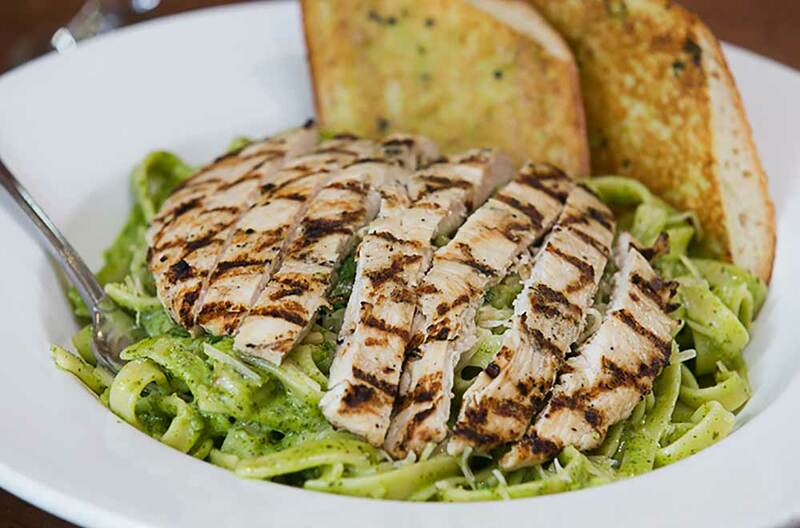 Fettuccine with pesto cream sauce, roasted garlic, roasted almonds and Parmesan cheese. 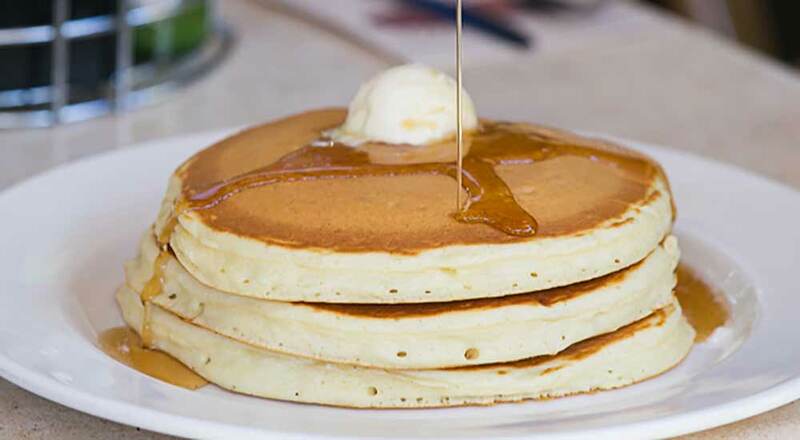 Homemade pancake served with 100% pure organic maple syrup. Sliced and grilled beef with caramelized onions, mushrooms and white cheddar cheese. 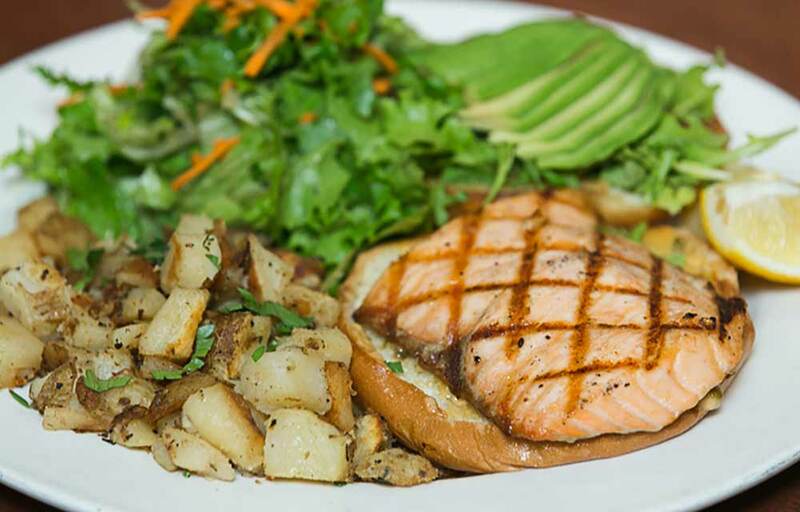 Grilled salmon on a bun, with arugula, avocado and a caper aioli. Sautéed ham, spinach and onions with poached eggs on an English Muffin with hollandaise sauce.